Updated Nov 13, 2018 - Updated for the 1.47.49 game patch. 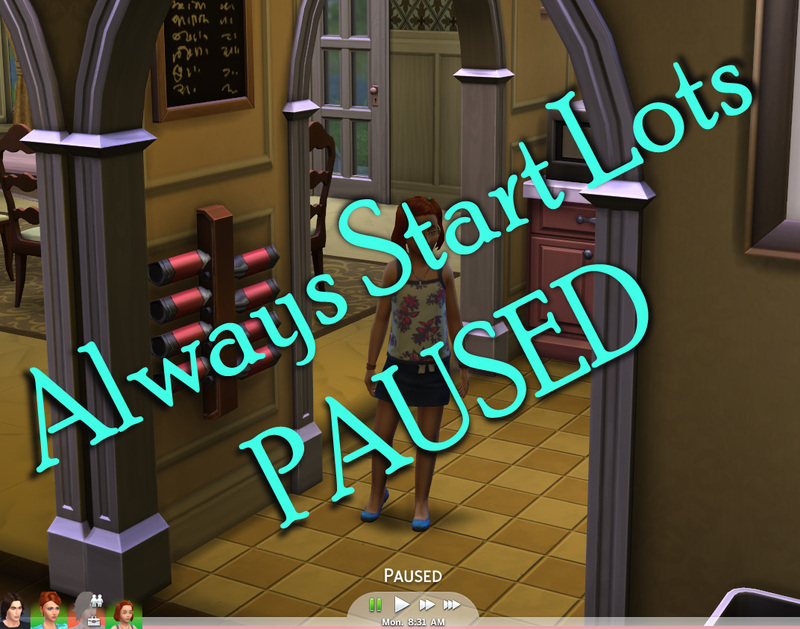 This modifies The Sims 4 lot loading routines to automatically pause the game whenever a lot is loaded. 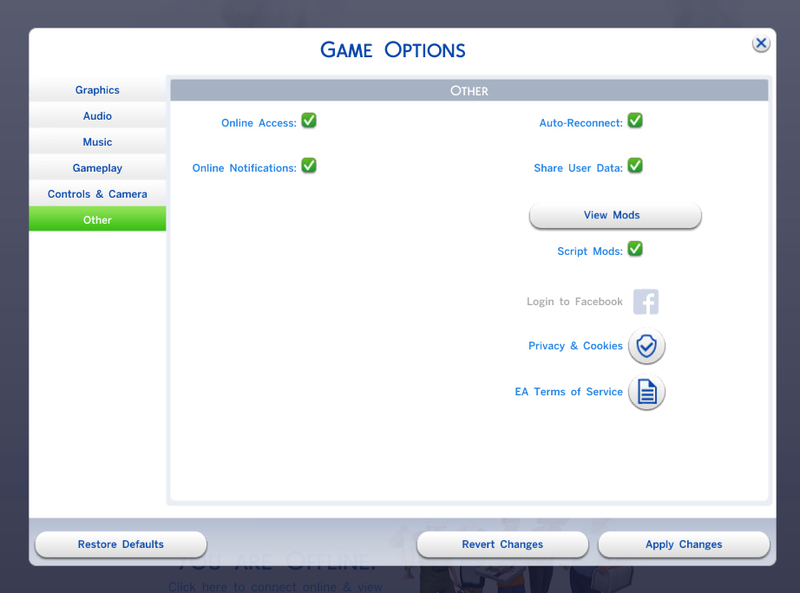 This includes when changing lots in manage world, traveling to another lot, returning from the CAS to change outfits, etc. After the plumbob "loading" animation completes, the game will always enter the lot paused. Extract the MTS_Scumbumbo_AlwaysStartLotsPaused.ts4script from the download zip file into your game Mods folder. This is a script mod, so scripting must be enabled in your game options. This mod should be compatible with any versions of the game since 1.47.49.1020 (November 13, 2018).